Brakes for Breasts - Auto Craftsmen LTD.
During the month of October, we’re teaming up with ‘Brakes for Breasts’ and other automotive shops across the country to perform FREE BRAKE INSPECTIONS! If we do the repairs, YOUR BRAKE PADS WILL BE FREE! 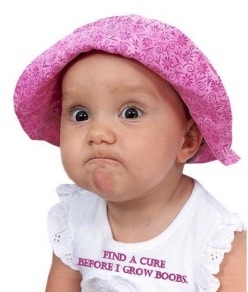 AND we will donate 10% of your brake repair to The Cleveland Clinic Breast Cancer Vaccine Fund. Brakes For Breasts is different from any other breast cancer fundraising campaigns. 100% of what we donate goes directly to Dr. Tuohy’s research! 2018 marks the eighth year for the Brakes For Breasts fundraiser. Dr. Tuohy at the Cleveland Clinic has actually created a vaccine that has proved effective in laboratory animals in actually preventing breast cancer. Think about Polio, eradicated because of a vaccine, a distant memory for most generations. This is the same principle! After 15 long years, Dr. Tuohy and his research team are just inches away from their first bedside trial.